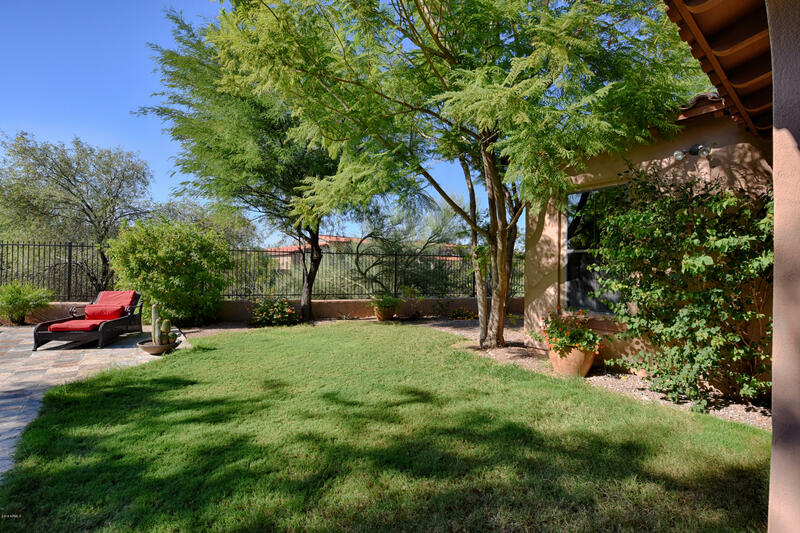 Enjoy serene views from this gorgeous & private lot backing to lush open space. 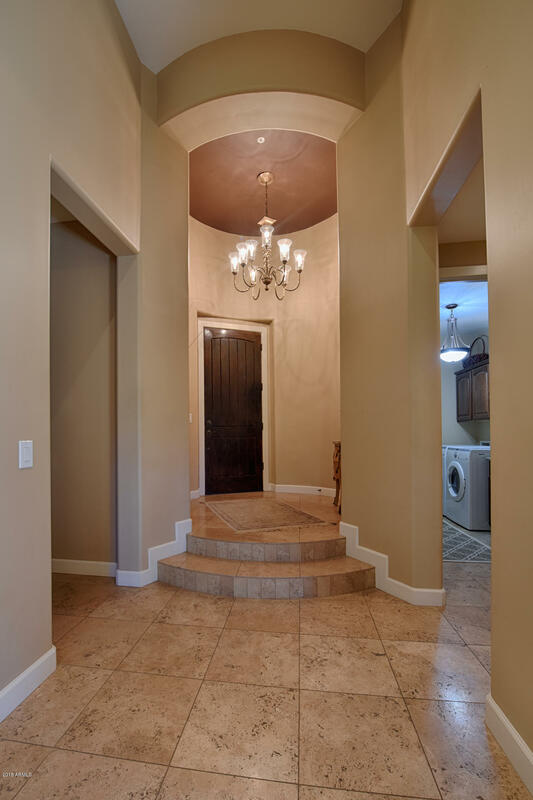 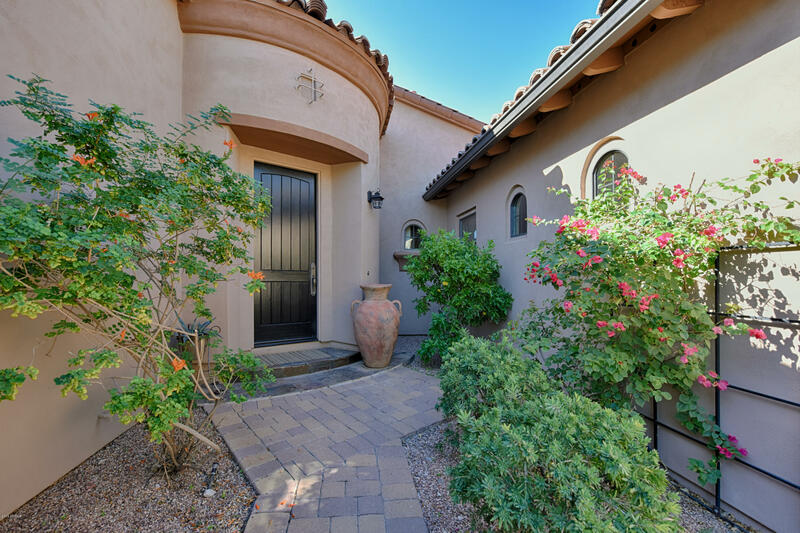 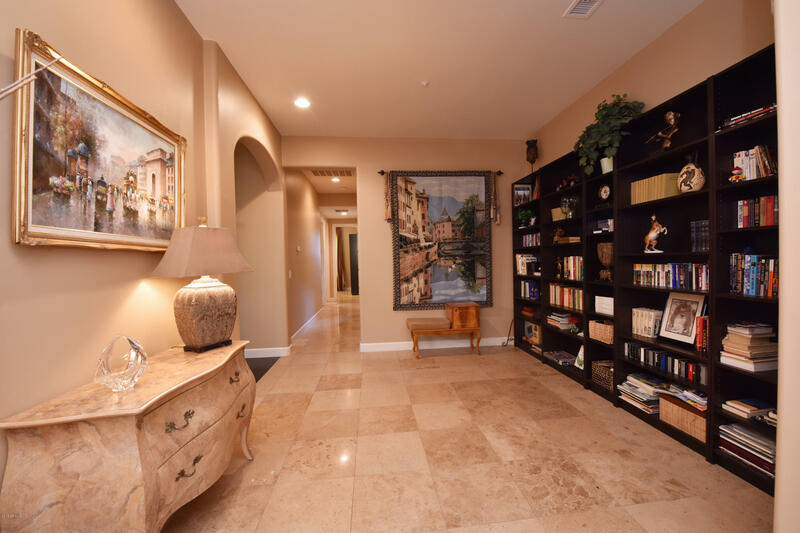 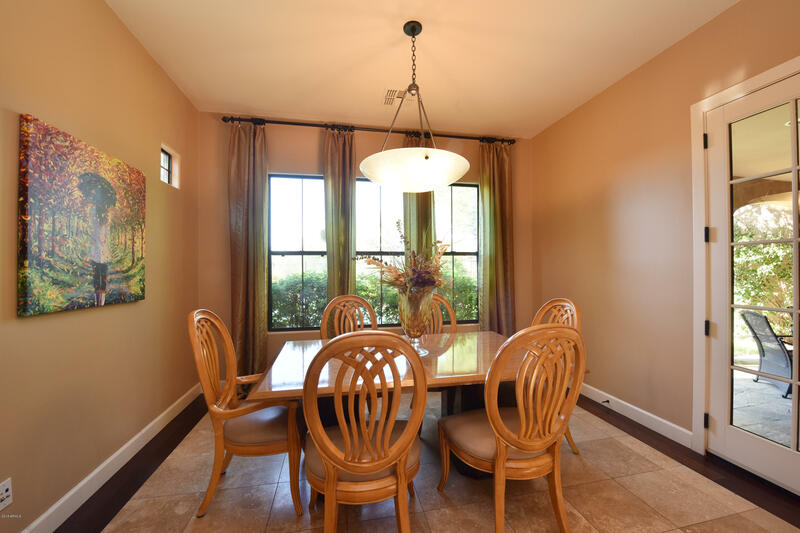 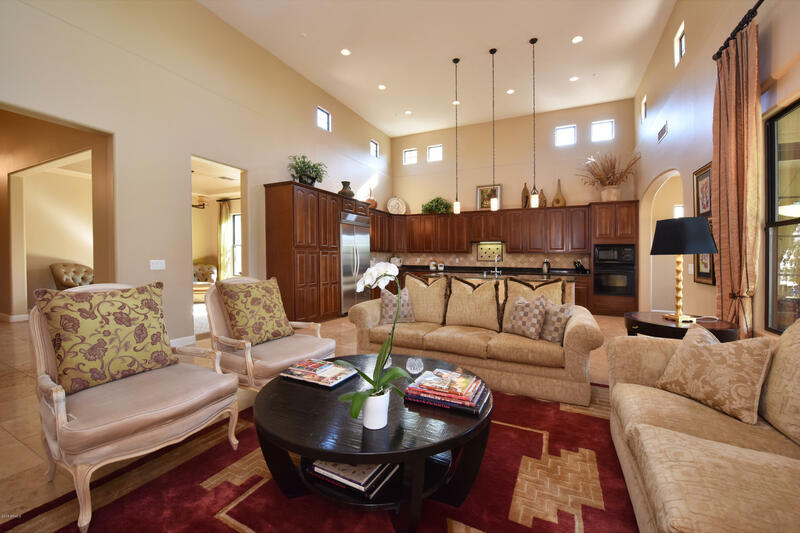 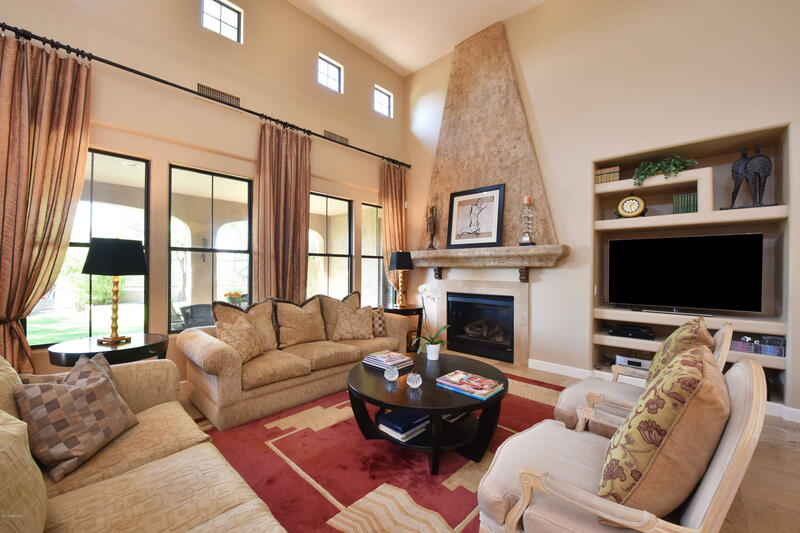 Enter this light & bright home through the elegant rotunda to a large, open Great Room floor plan perfect for entertaining. 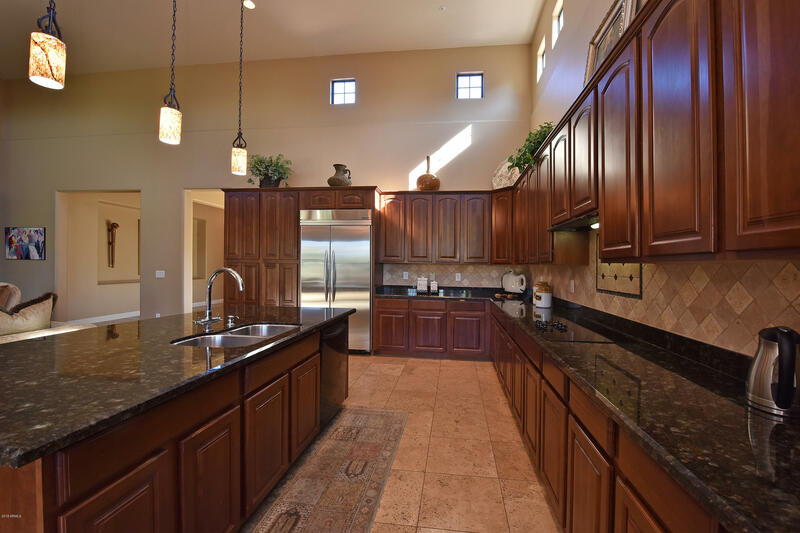 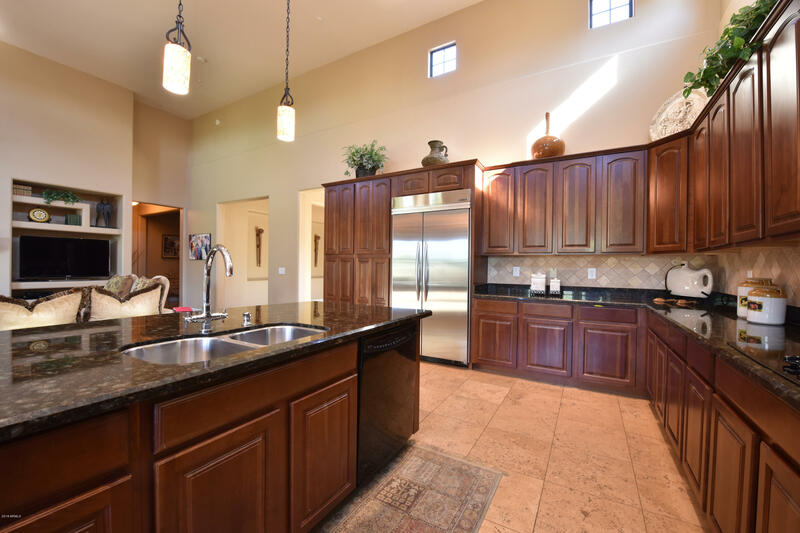 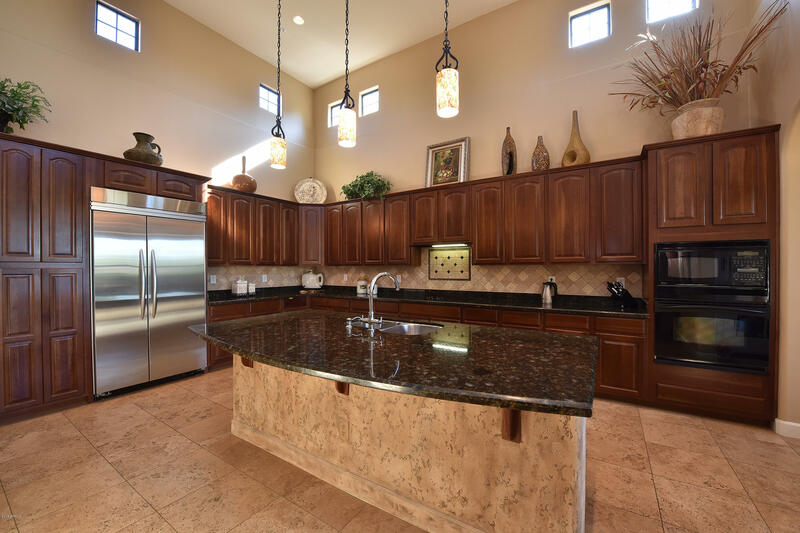 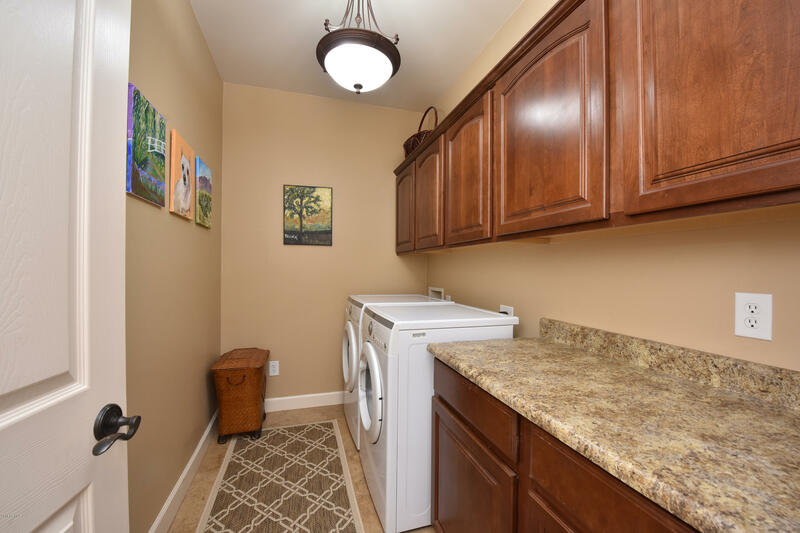 Gourmet kitchen with beautiful cabinetry, granite counters and abundant storage. 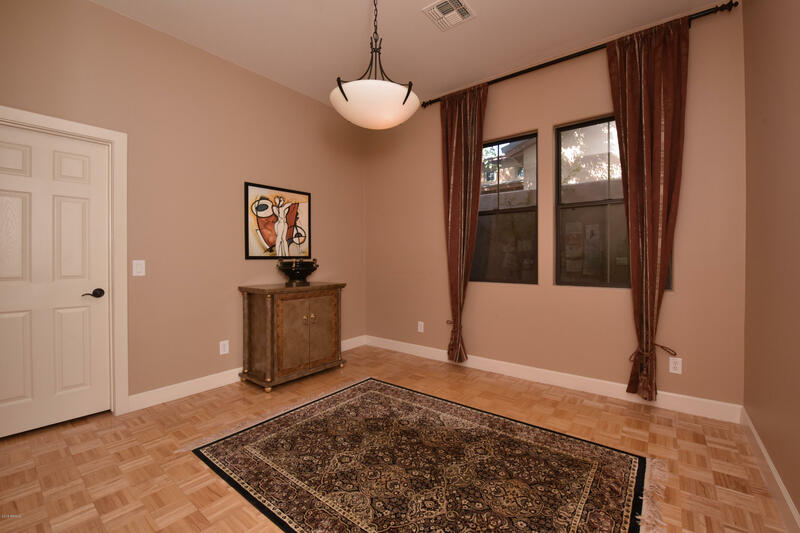 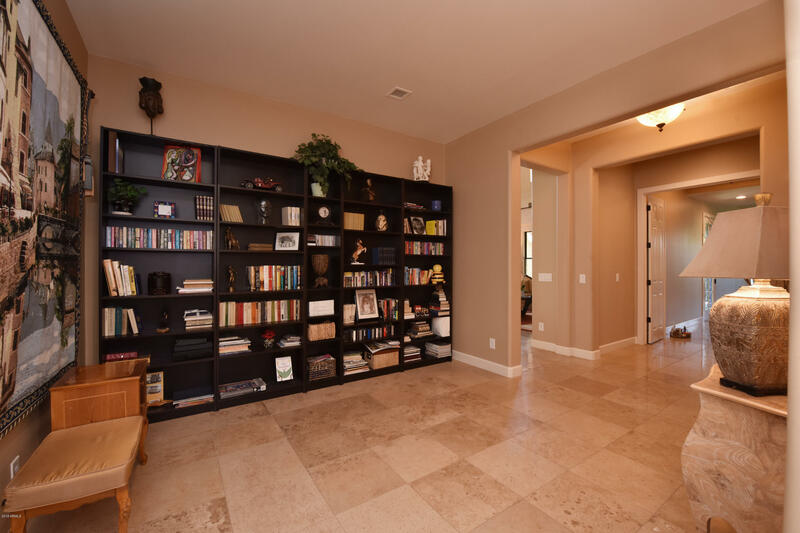 Upgraded travertine and wood flooring throughout. 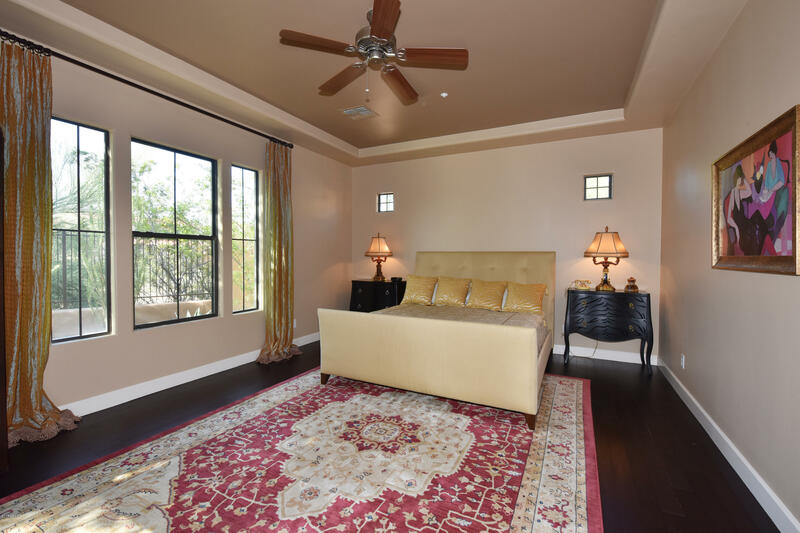 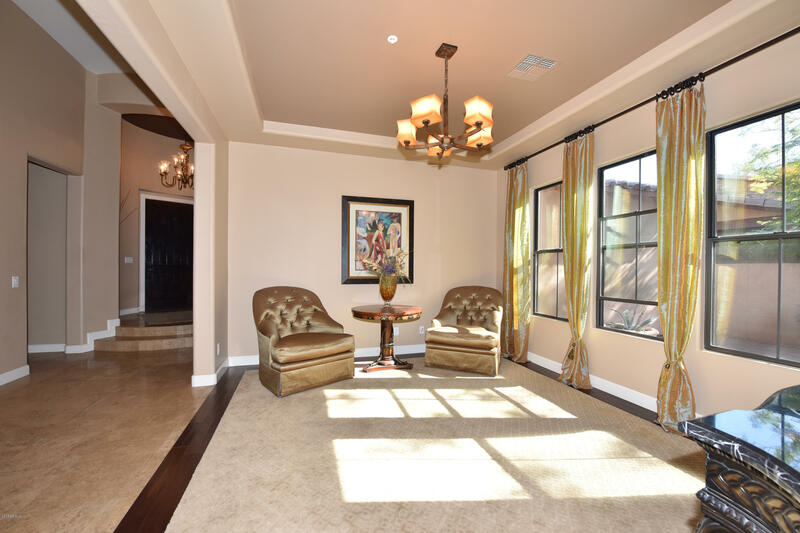 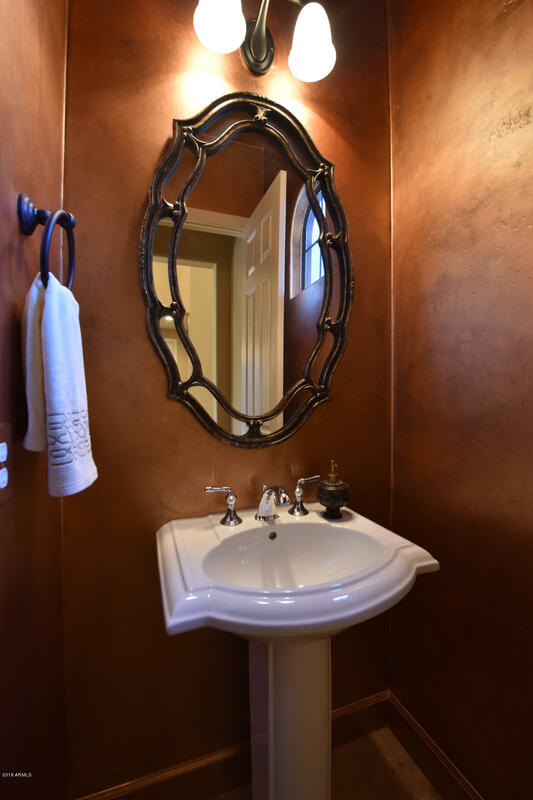 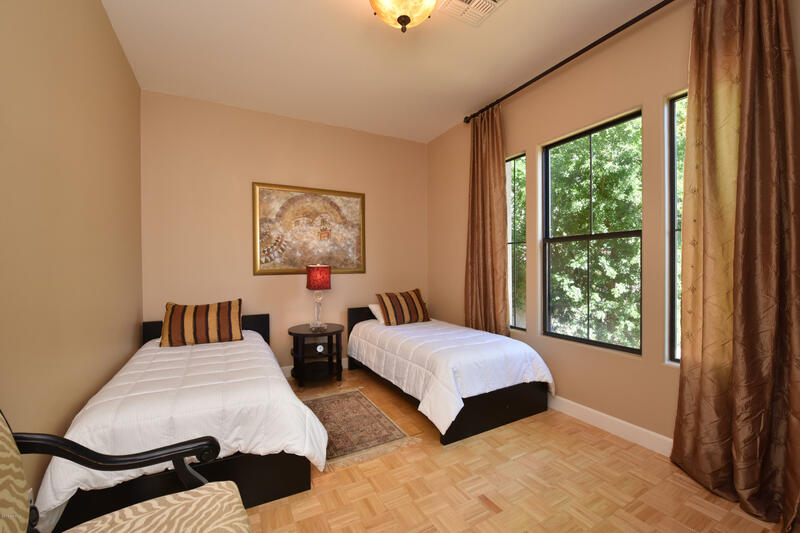 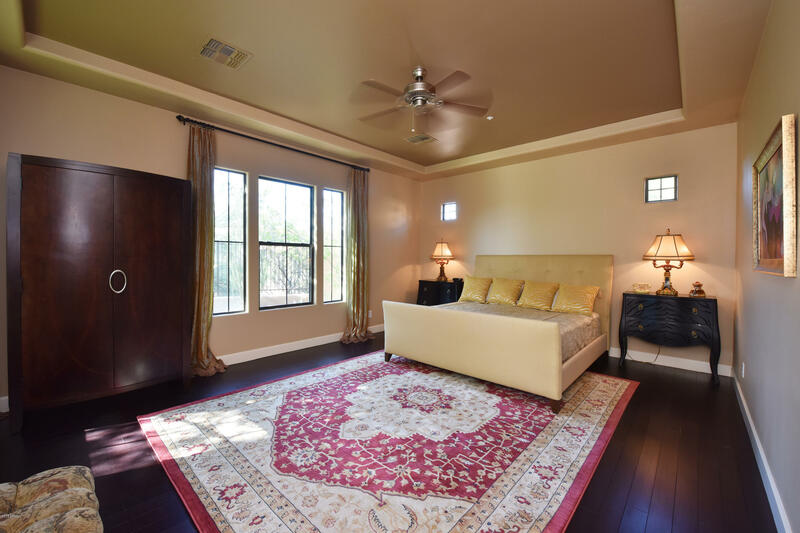 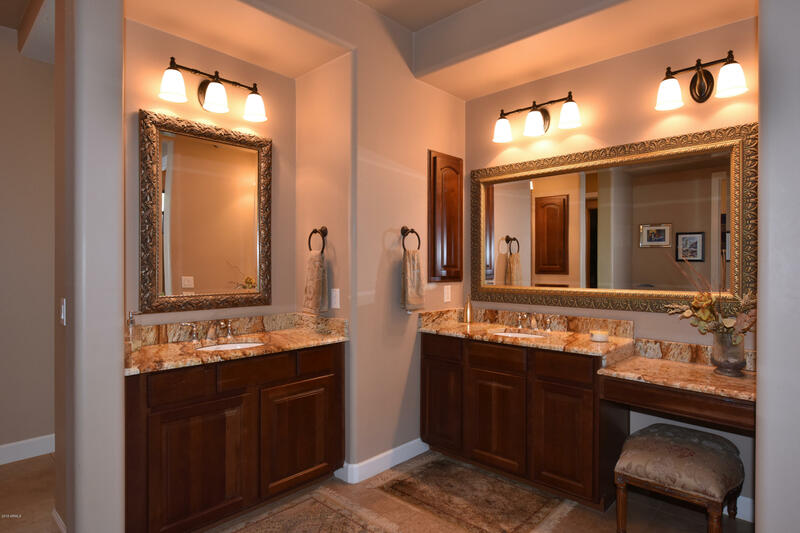 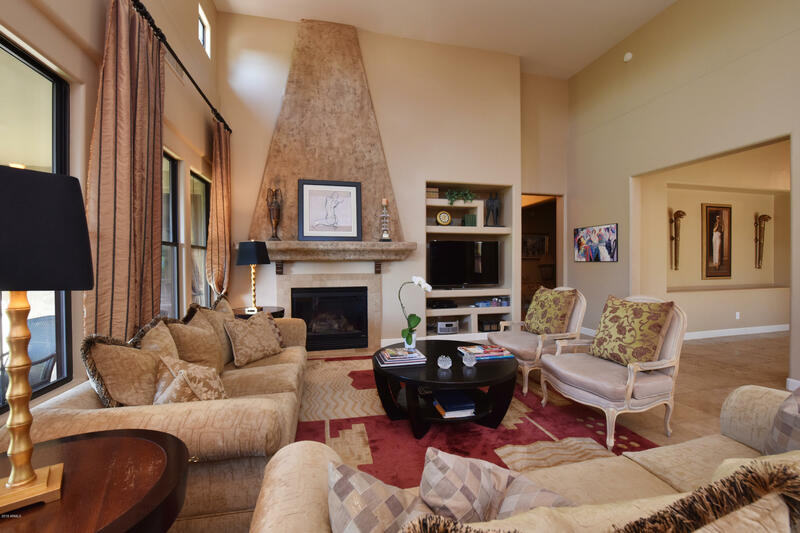 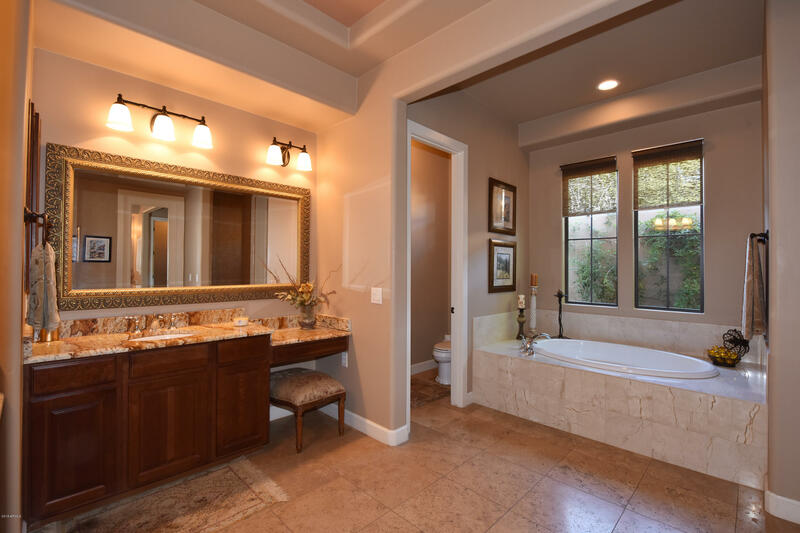 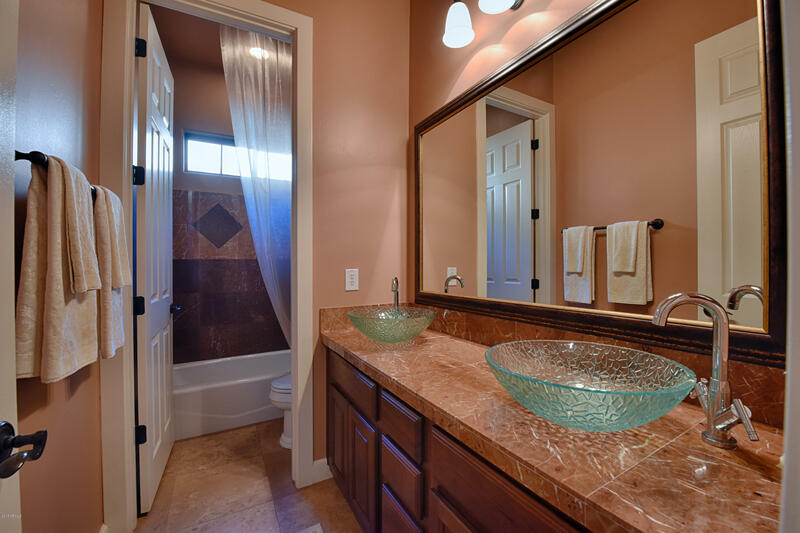 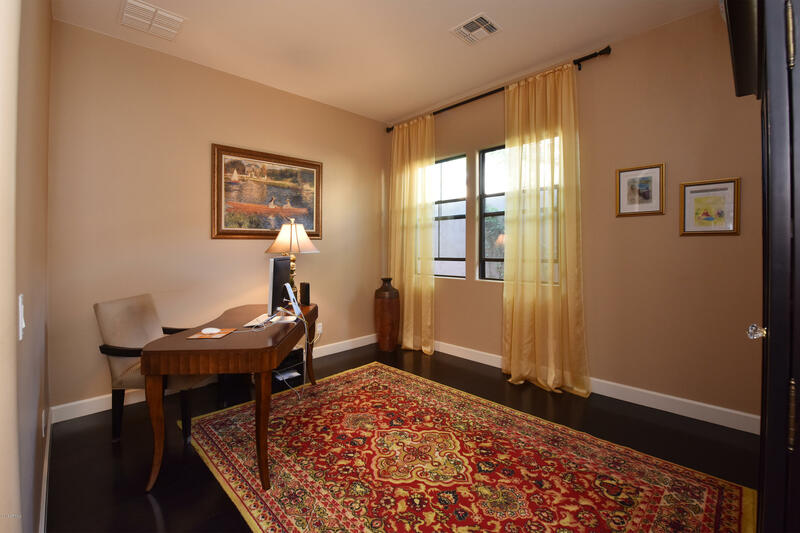 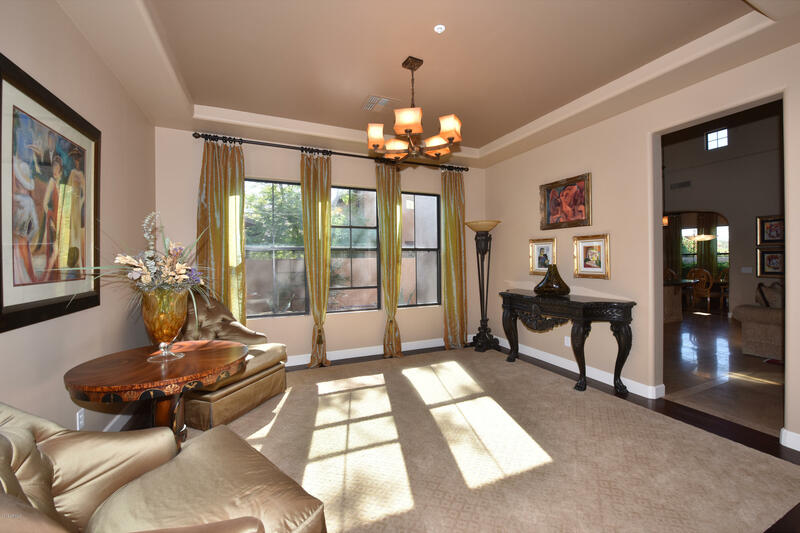 Large, luxurious master suite with over-sized closet, his and hers vanities, soaking tub, and separate shower. 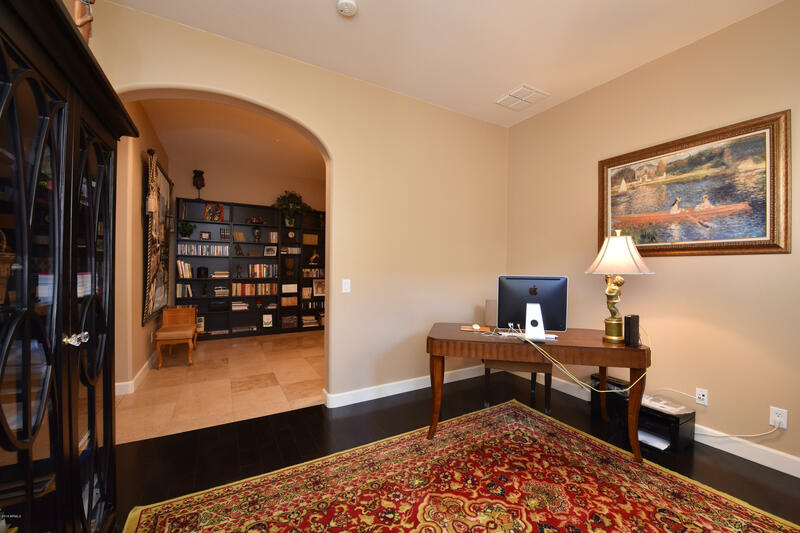 Separate Library/Flex Space with shelving, plus additional Office with walk in closet (can easily convert to 4th bedroom). 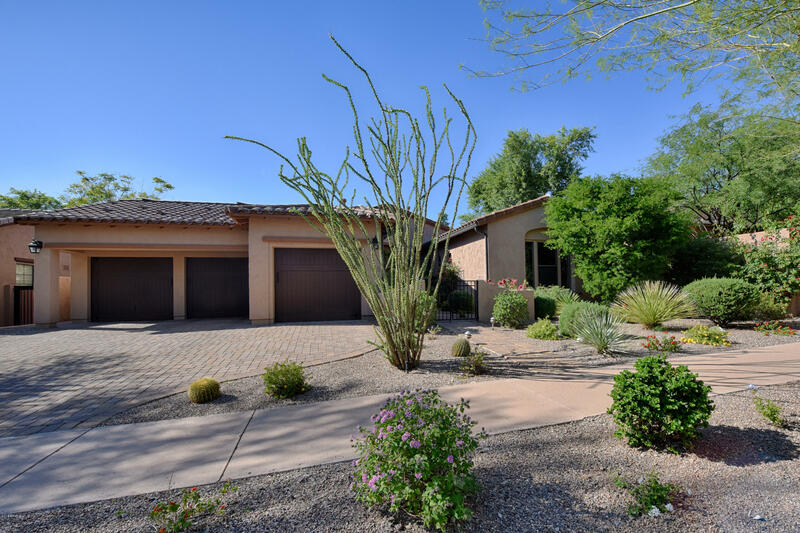 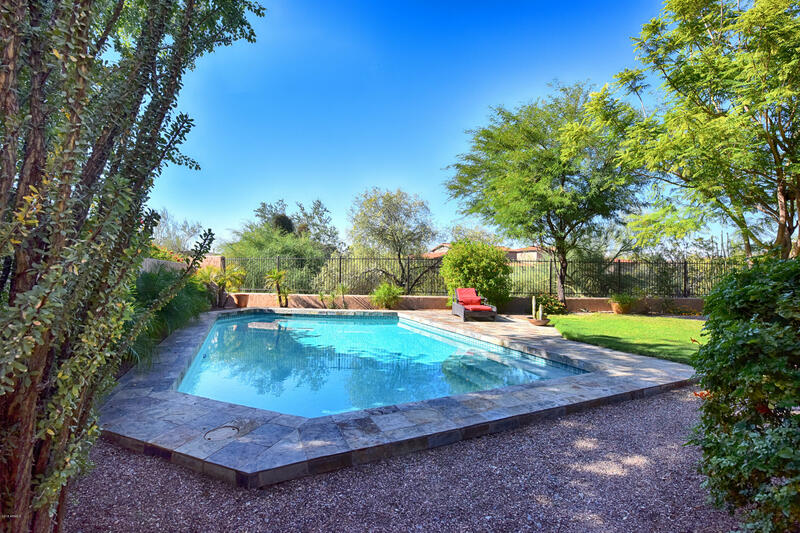 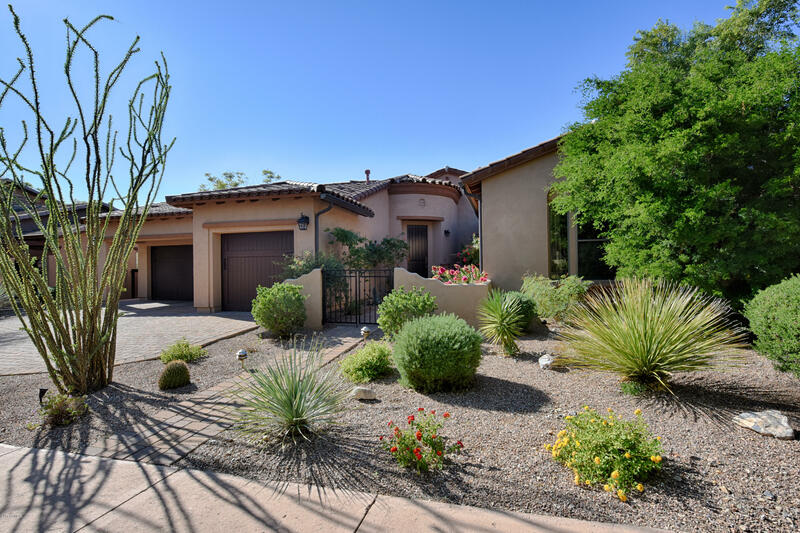 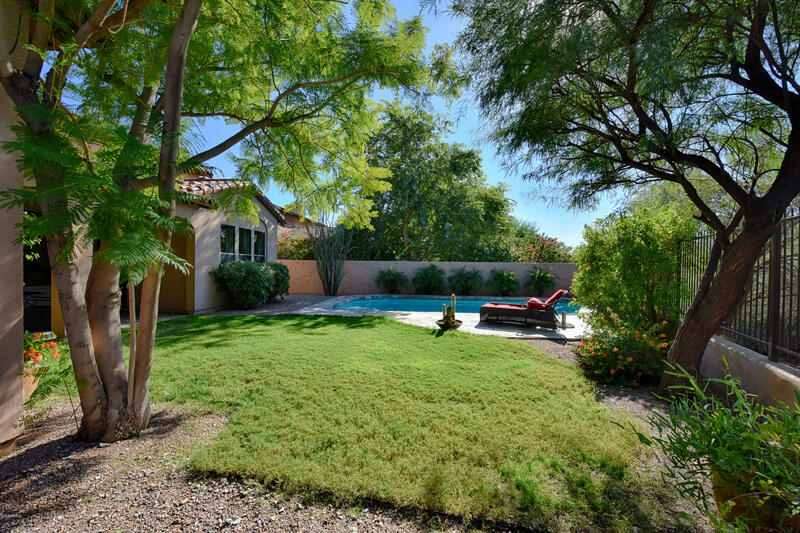 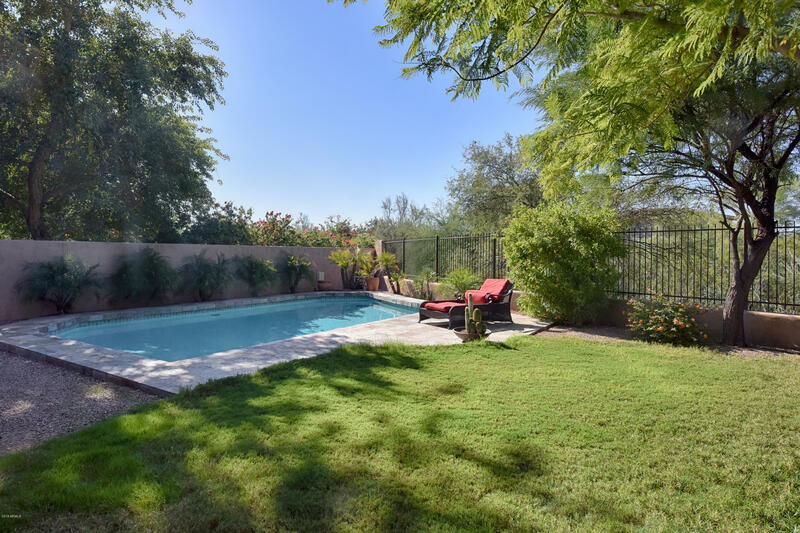 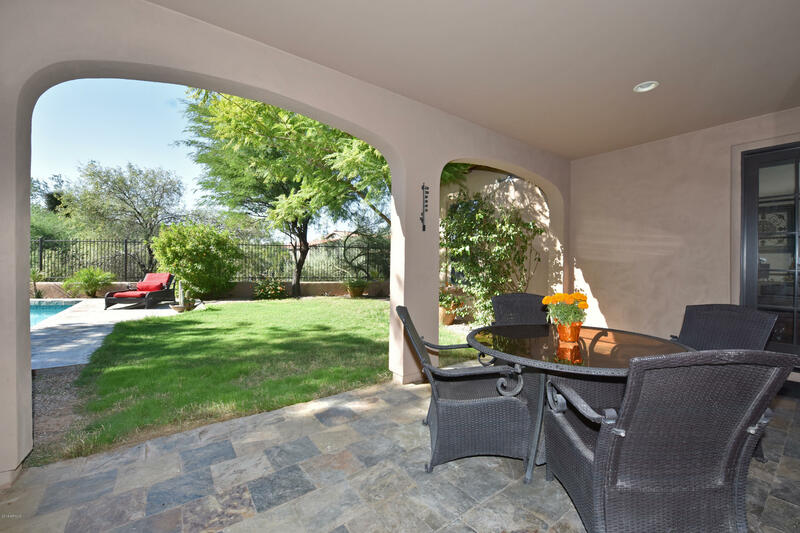 Amazing back yard with sunny, side patio as well as an intimate covered patio, lush grassy area & inviting pool. 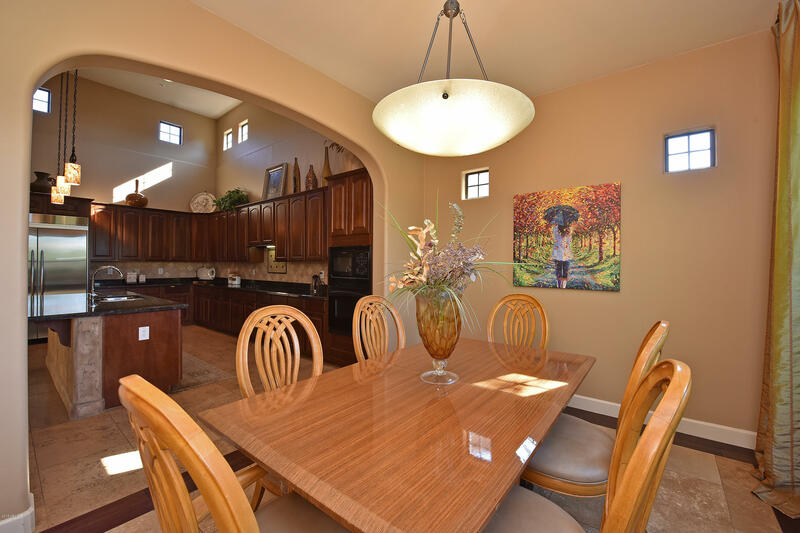 This pristine home will delight the most discriminating buyer....Make this dream home yours today!